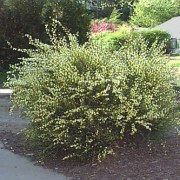 Native evergreen shrub, grows on sandy, acid soils and has bright yellow flowers. 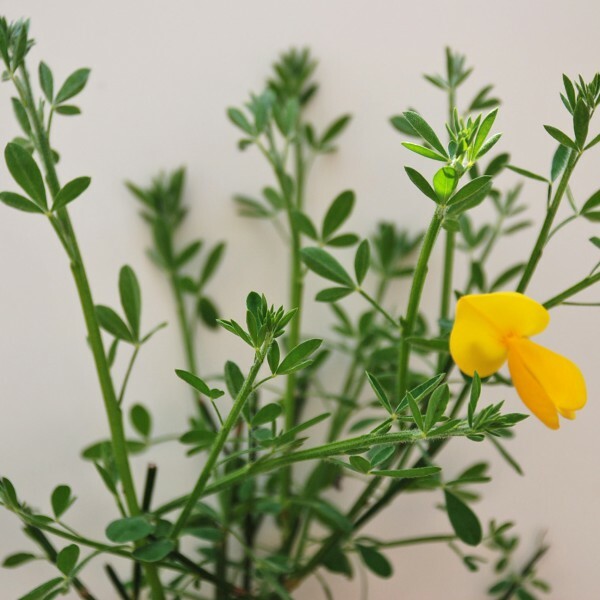 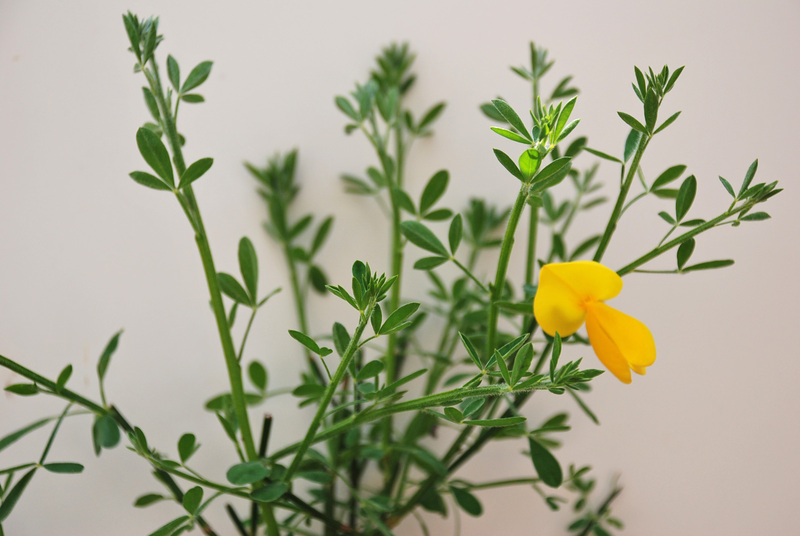 Cytisus Scoparius (Common Broom)- This native evergreen shrub is a member of the pea family and can be distinguished as such through its irregular shaped flowers and pea-pod like seed pods. 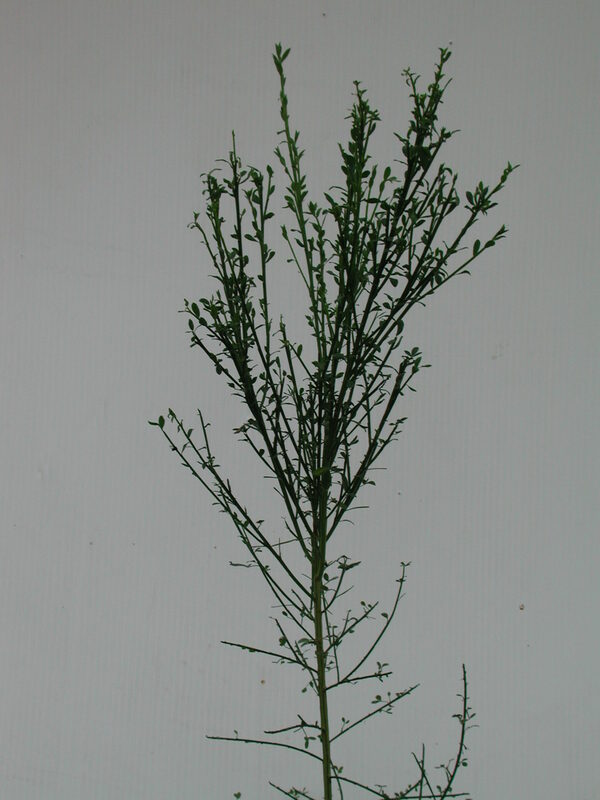 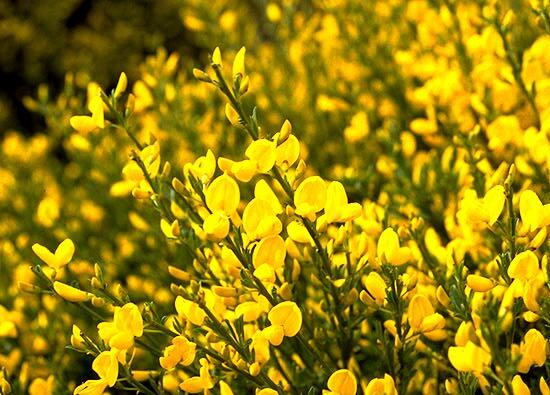 Broom can grow up to 3meters in height and is commonly found in woodland and heathland areas as well as along hedgerows, broom is also prevalent in coastal areas. 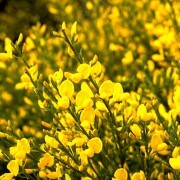 During the spring months, Broom is covered in bright yellow flowers, which produce a vanilla-like aroma. 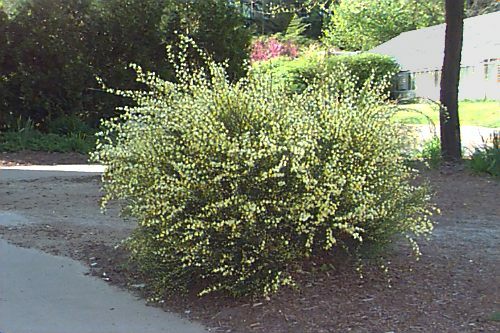 The flowers are full with nectar, making broom a very effective shrub for attracting wildlife, especially bees. 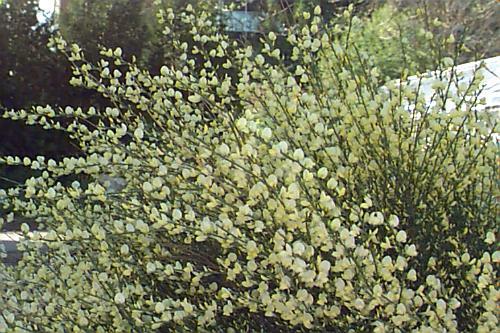 Broom is very poisonous. 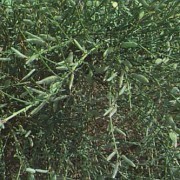 Fruit: The pods are 2-4cm long and with fine hairs. 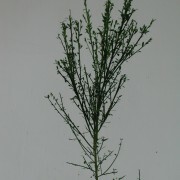 Timber: The bark of the plant can be used to make dyes. 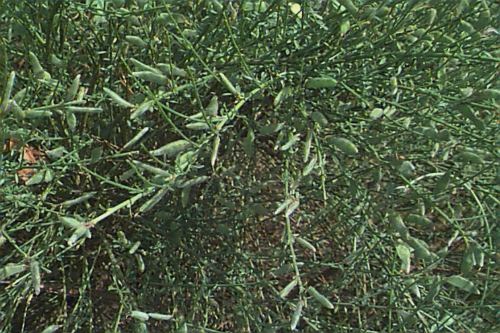 Soil Types/Habitat: Will grow in most soils, but the land must be well drained. 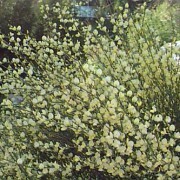 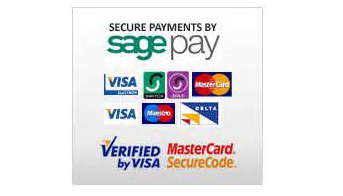 Grows best in coastal areas on sandy pastures.